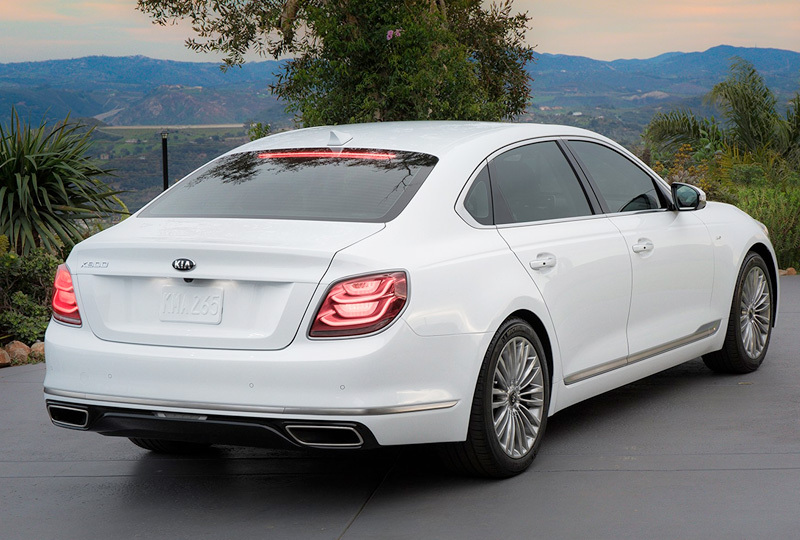 The 2019 Kia K900 coming soon to Briggs Kia in Topeka, KS, serving Emporia, represents a new form of luxury with elevated style and impressive features. This confident sedan is reserved for the modern driver who appreciates the finer things in life. A redesigned K900 inspires confidence wherever you go with a bold front fascia and a sleek profile. Enjoy the drive with innovative technology, like the Kia Drive Wise safety system package and a top-notch UVO infotainment system with smartphone integration. Get comfortable with a world-class cabin that's crafted with the finest materials for a sophisticated feel. No matter where you're headed, the re-engineered powertrain is prepared to get you there with incredible strength and remarkable performance. Be the first to know when the new 2019 Kia K900 arrives at Briggs Kia by signing up to receive updates on our website. We're excited to share our 2019 inventory with our customers and look forward to seeing you for your test drive in the near future. Visit 3137 S Kansas Avenue, Topeka, KS, for all your automotive needs. Glide down the road in elevated comfort and style with the newly redesigned 2019 K900 that presents a new take on luxury. 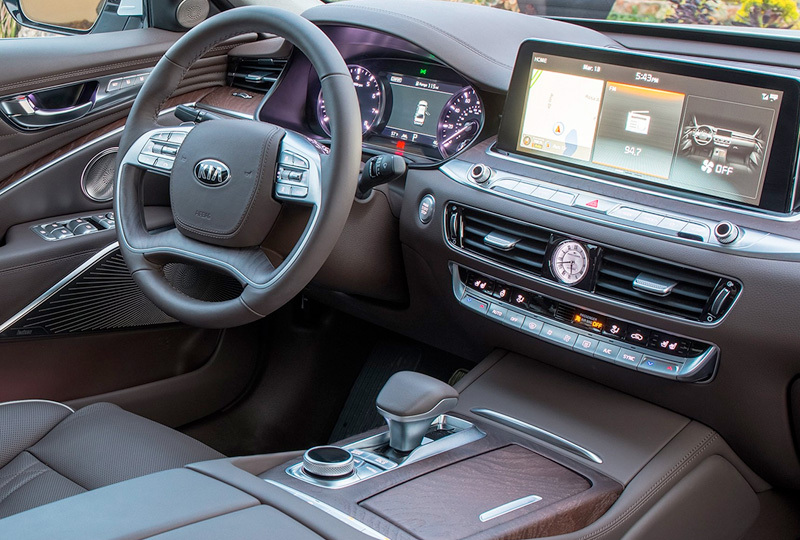 With an expected release of Fall 20181, the K900 is packed with innovative new technology2 like Kia Drive Wise and top-end UVO3 infotainment, sophisticated design details with first-class materials, and a re-engineered powertrain. They all combine for enhanced confidence and comfort that deliver a premium driving experience. 1. Expected availability Fall 2018 in select markets in limited quantities. 2. Pre-production model shown with optional features. Not all optional features are available on all trims. Production model may vary.